The devil, as a roaring lion, walketh about, seeking whom he may devour. Notice the scripture says “may” and not “will.” In other words, you have something to do with whether he is able to devour you. And if you know anything about Satan, he doesn’t have any power. The only power he has is the power you give him. Don’t let the devil rob you of the destiny God has for you. Step out and face your fears; face your pain. You can be a victorious Christian, or you can be one who is never quite able to enjoy the fullness of God. 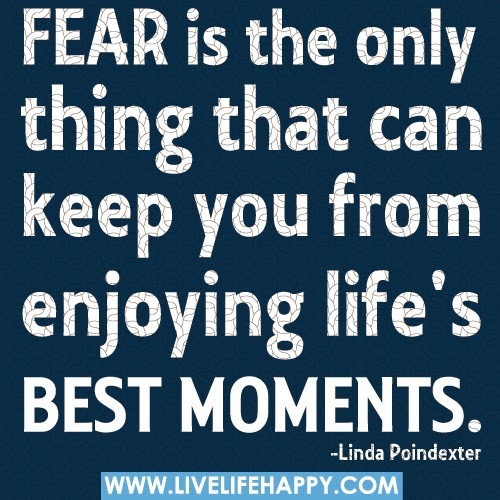 The only difference between the two is that one is stopped by fear and the other does it afraid. Determine today to do it afraid! God bless you for reading and have a great week.